The plans start at Rs 499 per month and are a part of Vodafone RED. At the moment, this plan is available to select enterprise customers. Vodafone and Aviva Life Insurance have announced the RED Protect mobility plan. It comes integrated with life insurance in addition to the mobility plan. The plans start at Rs 499 per month and are a part of Vodafone RED. At the moment, this plan is available to select enterprise customers. Nick Gliddon, Director, Vodafone Business Services said, “Life insurance is one value benefit they have sought out clearly. For employers, this is a great value offering to their employees. 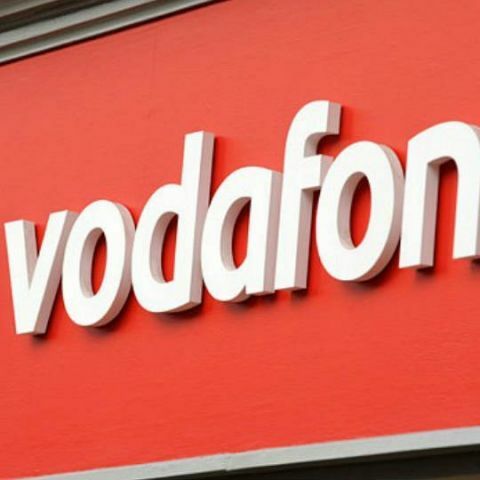 It helps them be recognized as a great place to work, improve engagement with employees and address a key employee concern.” Customers can activate the Vodafone RED Protect by calling 199. In a first ever partnership in enterprise mobility, Vodafone and Aviva Life Insurance have announced the RED Protect, a mobility plan integrated with life insurance with sum assured worth upto 20 years of the monthly rental. Vodafone’s Enterprise Postpaid Customers can now ensure that their loved ones are cared for by availing the RED Protect Plan with integrated life insurance in addition to their full-featured mobility plan. The plan which starts for as low as Rs. 499 per month will help professionals early in their careers secure their families. This offering is a part of Vodafone RED, India’s Best Postpaid plans. At the moment, this plan is available to select enterprise customers. Customers can activate Vodafone RED Protect by calling 199, and choosing the combination of monthly rental and sum assured that suits them best. Once the mobile plan is live, customers will be guided on activating their life insurance policy by providing nominee information online. The insurance cover is activated following verification of the submitted details, with an instant issuance of the certificate. The offer is currently available only for individually owned plans. Is getting an insurance for a phone useful ? I want to buy a basic phone with best battery life with auto call recorder facility.